The Shoe Double Decker is a revolutionary new way to de-clutter and organize your shoes. 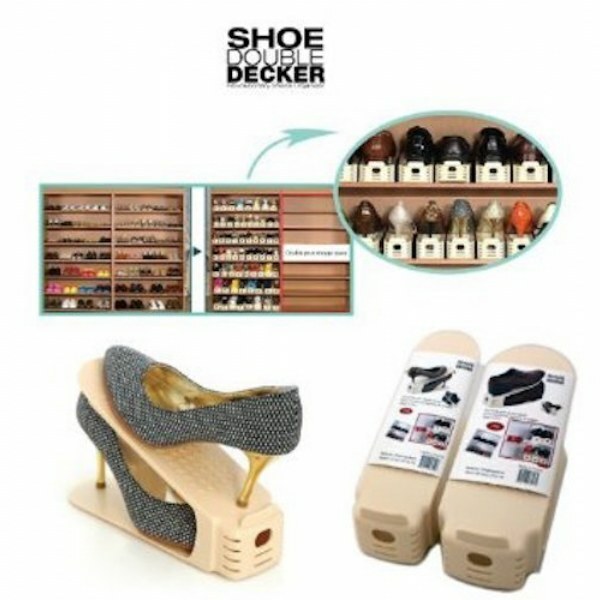 Shoe Double Decker - The Shoe Double Decker is a revolutionary new way to de-clutter and organize your shoes. Available in two different sizes, (Small/Narrow and Large/Wide) the Shoe Double Decker doubles your storage space and becomes an instant solution to organize and protect your shoes. With the Shoe Double Decker you can find your matching shoes in a flash.